Intercom recently completed the first phase of a major project to re-write core parts of our product using the Ember.js framework. As part of that project Tom Dale, one of the founders of Ember, visited our offices for two weeks to consult with our engineering teams. While he was with us I took the opportunity to sit down with Tom for a wide ranging interview which covered topics such as the need for frameworks, organ donation rates, web standards, bikeshedding, and open source. Here’s some of the highlights. That’s important he says because of a feature of human psychology known as “ego-depletion”, a concept that his Ember co-founder Yehuda Katz came across. “You have this finite resource which is your decision-making, and people assume that the harder the decision is, the more it depletes it and so trivial decisions have a trivial impact,” he says. “It turns out that this is not the case and each decision we make, regardless of how trivial, makes a withdrawal from our decision bank which has a finite daily balance”. Tom cites the example of organ donation rates in countries where they operate a progam for drivers to indicate their preference when renewing their licence. In a lot of nations the rate of enrollment is is as high as 99% but in many others its about 60% or even lower. It would be easy to assume that’s the result of cultural differences are responsible but in fact the high enrollment rates are in countries where people are opted-in by default when they renew their driver’s licence or permit, and the low rates occur where opt-out is the default. 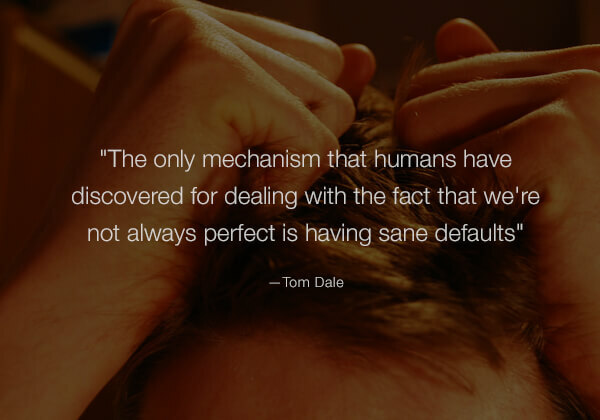 When people are faced with a decision – no matter how weighty – they will usually just go with the default. Ember.js uses the tagline “a framework for making ambitious web applications” which is a pretty bold claim but as Tom tells it there was never any grand vision, when the framework evolved out of SproutCore 2.0, just over two years ago. The Ember team also felt URL support was bad in most web apps at the time. Tom admits that this approach can be unpopular with members of the community as requests for features get turned down but he firmly believes it is in the best interests of the framework. Tom discussed the importance of URLs when he spoke at our Inside Intercom Engineering event which took place during his visit. Watch a video of the talk below. 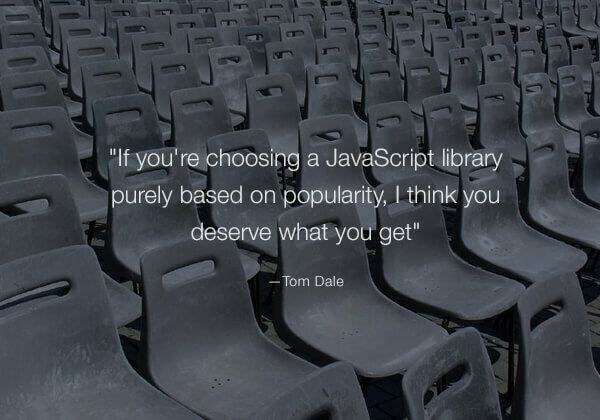 While stressing his admiration for the team behind Angular, Tom is also not shy at pointing out the areas where he thinks Ember does a better job. The two features he points out are Ember’s conventions and superior support for URLs. 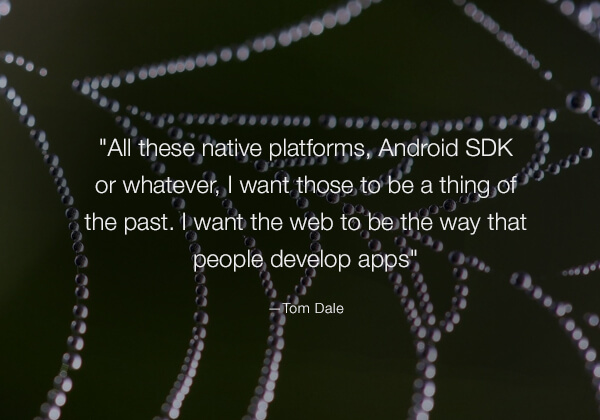 Looking to the future Tom believes the web should be the platform of choice for developing apps, but that will require a significant effort from standards bodies and browser vendors. The spread of evergreen, auto-updating browsers means that new features can be rolled out without having to worry if users are on the latest release. In contrast change at the level of standards bodies is slow. 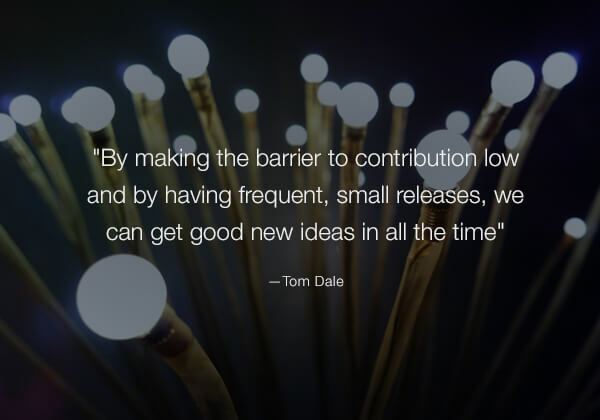 Along with representatives of Google, Mozilla and W3C, Tom is one of the signatories of The Extensible Web Manifesto, which wants to ensure those setting standards are doing so with feedback from practicing web developers. The aim is to ensure the web standards committees introduce new features quickly, which they believe “is critical to the long-term health of the web”. When asked what he’d like to see happen in terms of web standards and development over the next ten years, Tom actually points to what’s failed to happen over the last decade. He also believes Ember can remain relevant over the next decade, largely because both he and Yehuda have stepped back from day to day involvement – he says neither of them have contributed code in months. They attend core team meetings and make design decisions but the coding is done by the community. Tom now juggles his day job on Skylight, an analytics and bug-catching tool for Rails apps, with evenings and weekends working on Ember but the framework’s success has meant his role has become very different.